Bead is derived from the old English noun bede which means prayer. Perkins’ contemporary analogy of ancient spiritual devotion invites contemplation and represents commemoration of loss and a vigil for the end of violence. 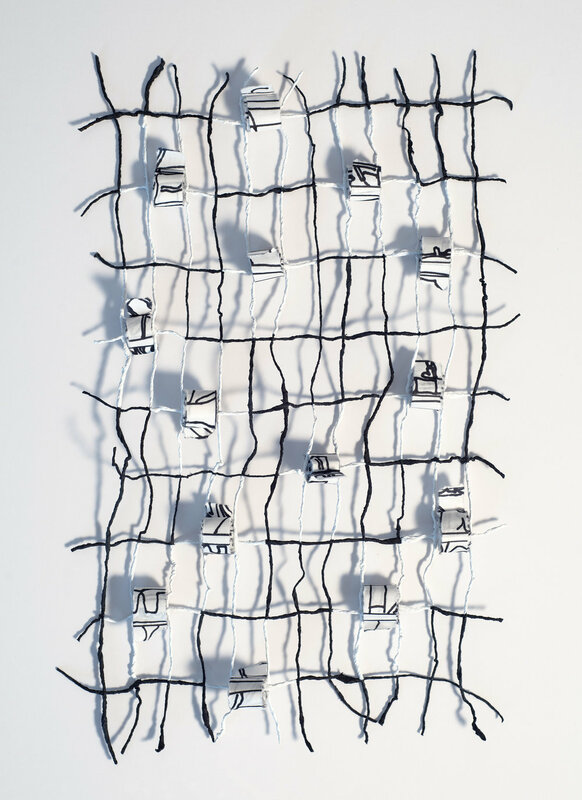 Susan’s meditative three-dimensional works are characterized with beads of remembrance. The handmade beads are constructed using strips of paper torn from her ink drawings. Each paper strip is inscribed with the name of an individual lost due to a mass shooting, then rolled and attached to a woven painted paper grid. The quality of the grid plays off light and shadow accentuating the empty space between; what is missing is just as important as what is present.